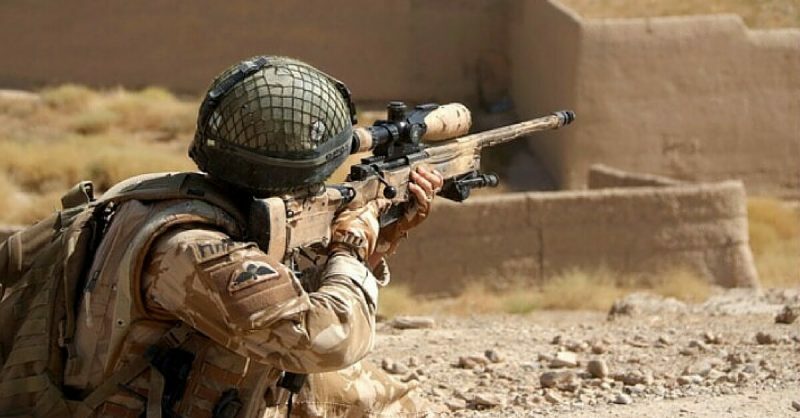 A corporal of the Horse and a member of the elite British Household Cavalry unit holds the record for achieving the longest kill shot ever recorded in the history of warfare. Craig Harrison is an icon of the British Army whose 2,475 m (2,707 yds) shot saved the lives of fellow soldiers, while on convoy protection duty in Afghanistan in November 2009. He was in the well behind the convoy when he spotted a Taliban two-men machine gun crew that started shooting at the vanguard. An ambush was upon them, and a well-planned one, things be worse. The insurgents were armed with a Soviet PKM machine gun, more than capable of piercing through vehicles. The gun started to bark. It was all up to Harrison and his L115A3 Long Range Rifle to save the day. The convoy consisted of several 4×4 Jackal vehicles, sustaining heavy fire. Harrison’s Jackal more than a kilometer behind, so he jumped off and stationed himself in a nearby building from which he could snipe without being noticed. Craig Harrison took his driver with him, to serve as a spotter, even though the soldier wasn’t exactly trained for such operations. Professional training wouldn’t affect the outcome too much, for what Harrison had in mind had never been done before. In his case, it was rocket science. Just to make it clear, the Taliban were about 2,5 clicks away from Harrison’s location. That distance is about 1500 feet out of the maximum range of his weapon. So, the odds of hitting anything smaller than a tank weren’t in his favor. Nevertheless, he decided to take the shot, calculating wind speed and all other factors that could influence the trajectory of the bullet (besides from the fact that the enemy was well out of range). He was forced to aim at a spot about 400 feet above his targets, that weren’t exactly static throughout the battle. Even though the weather conditions were appropriate, this calculation was necessary if the shot was to be done right. The difference of 400 feet is an equivalent of a 40 storied building, and that was how much Harrison needed to calculate to find a spot to fire, well above the heads of his targets. He devised the account in a record time, counting the gravity and muzzle velocity loss, while under the pressure of losing his own life, or the lives of his men. The first shot was perfect. The Taliban machine gunner was shot in his abdomen. The second, consecutive shot, achieved with minimal adjustment, was fatal for the other crewman. To make sure that nobody uses that PKM again, Harrison shot it, rendering it to pieces with a single high caliber bullet. It took approximately 3 seconds for each bullet to reach its target, which furthermore illustrates the distance from which the shot was taken and what exactly means to break the world record in such category. In an interview for Daily Mail, Harrison recalled that he had to wait around six seconds to acknowledge if the shot was successful. One could only imagine the mixture of surprise and terror that the rest of the Taliban squad felt at that moment, realizing that their machine gun support was shot dead by a sniper at such distance. The ambush was successfully repelled and the convoy reached safety. His tour of duty in 2009 includes around 20 more confirmed kills. He was wounded several times during his service in Afghanistan, receiving a flesh wound on his head and having both of his arms broken on one occasion when his vehicle ran into a landmine. These injuries never influenced his actions ― it is recorded that each time he was wounded, he was contributing to the fight as well as he could. He never backed down and demonstrated extreme bravery in the face of battle. 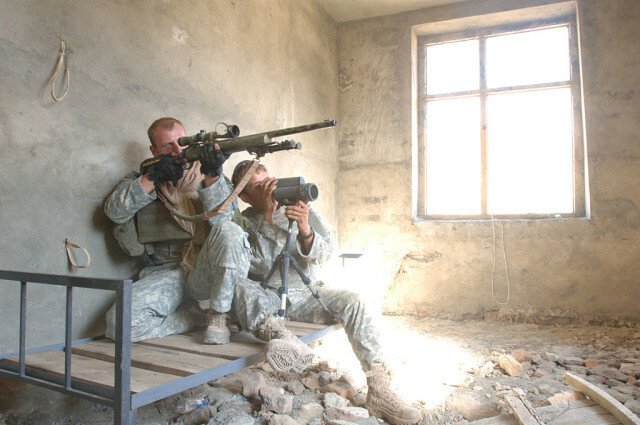 A U.S. Army sniper team from Jalalabad Provincial Reconstruction Team. By Cpl. Bertha Flores, US Army. CoH Craig Harrison broke the record established by an equally brilliant Canadian sniper, Rob Furlong, in 2002, which was 2,430 m. Before Furlong, the record was held by an another Canadian, Arron Perry, who had set his record (2,310 m) only a few days prior to the Furlong’s shot. Nevertheless, Perry broke the record that was held for 34 years by a Vietnam War veteran, Carlos Hathcock. Now, Harrison’s record is yet to be broken. Harrison served the Armed forces from 1991 to 2014. Military service this long left permanent scars on the sniper’s psyche. In an interview conducted by the BBC, Harrison stated that he constantly sees the faces of those he killed, which is a common disorder for snipers. Craig Harrison wrote a book about his war experience, titled “The Longest Shot”, where he stated, among other things, that he was driven to the brink of suicide by his PTSD disorder.